Be prepared for whatever life throws at you with this handy tool. 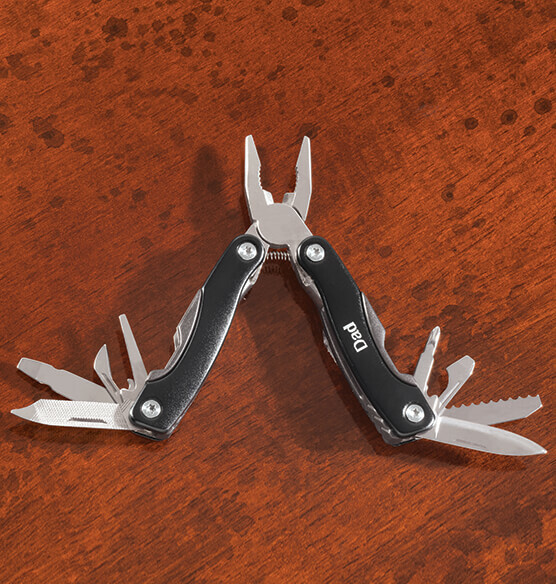 It’s like an entire tool kit in one multifunctional little pliers. This folding pliers opens to reveal a knife blade, saw blade, bottle opener, Phillips and slotted head screwdrivers and a nail file. Opens from 3" to 6" when fully extended. 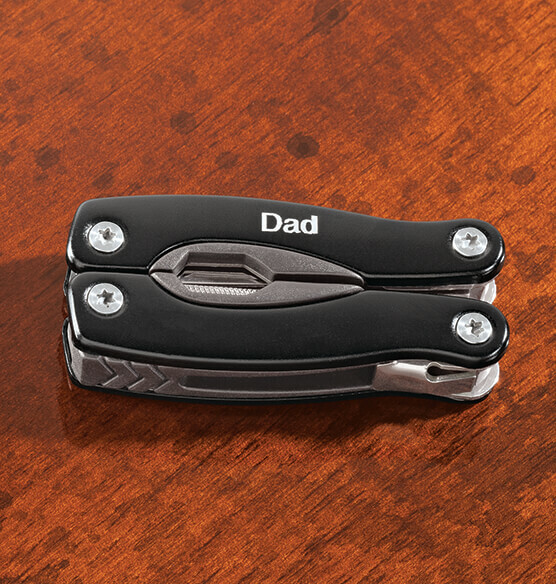 Add a laser-engraved initial or name to make a one-of-a-kind gift idea. Comes in a black presentation box for gift-giving.